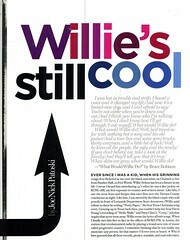 A Texas Monthly Magazine Tribute to Willie! Ever since I was a kid, when his grinning visage first flickered at me over the black-and-white on Channel 11 live from Panther Hall, in Fort Worth, Willie Nelson has been a fixture in my life. I swear I heard him introducing 45’s when he was a disc jockey on KCNC-AM, my first exposure to country and western music. Like him, I saw the neon Stars and Stripes that once flew over the Tarrant County courthouse at night. Like him, I was moved by the blind couple who sold pencils in front of Leonards Department Store downtown (Willie paid tribute to them by writing “Pretty Paper,” the best Texas Christmas song ever). 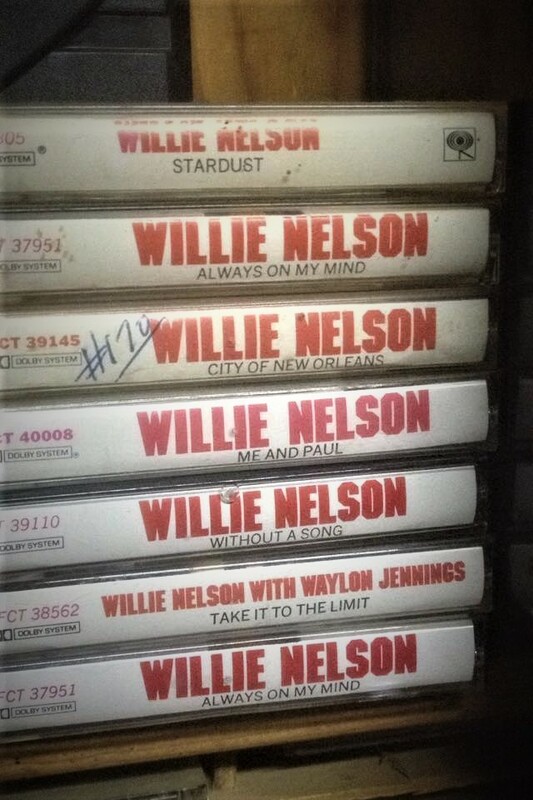 Growing up in Texas back then, you couldn’t help but hear Faron Young’s recording of “Hello Walls” and Patsy Cline’s “Crazy,” jukebox staples that never went away; Willie wrote the lyrics of both songs. When I finally met him fact to face in the offices of KOKE-FM, in Austin, the station that revolutionized radio by playing a brand new mix of music called progressive country. I remember thinking that he was unlike any musician — any person, for that matter — I’d ever seen or heard. Who’d have guessed that after all these records, picnics, scandals, and road miles later, he’d still be so much in his prime? At a time when his peers have either hightailed it to Branson or are being wheeled out onstage to show they’re still alive, Willie’s till Willie — on the road again, on the bus again, worthy of tribute songs and accolades and whatever else you can throw at him. Which raises the question: What keeps him going? 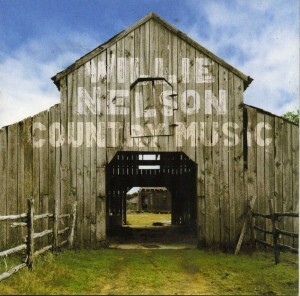 What makes Willie Willie, who turns seventy on April 30, more of an icon that ever? Everyone has his opinion. Willie surely has his own. Here’s mine. He’s a family man.Â Four marriages and what can be charitably described as an unconventional lifestyle explain why a lot of people thing Willie and family values don’t go together. They’re wrong. He’s the epitome of family. 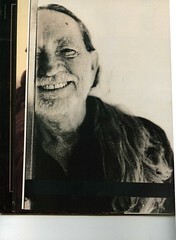 It’s not just that he’s a father, a grandfather, and a great-grandfather or that his sister plays piano in his band or that his eldest daughter goes out on the road with him and writes the band’s official Web site diary (www.willienelson.com). 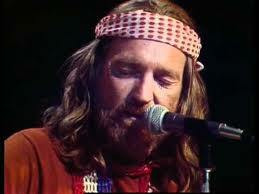 Not for nothing is his band called Willie Nelson and Family; they’ve stayed together longer than most blood relations. His steadfast followers are likewise called family. To them, he’s more than a star; he’s a combination of daddy, patron, sage, boss man, fearless leaders, beloved outlaw, and benevolent shepherd tending his flock. He’s a uniter, not a divider. The original cosmic cowboy came to Austin and brought rednecks and freaks together, mainly because he’s a little of both (he was the first hippie I ever saw wearing a diamond pinkie ring). His audience today is the face of America, bringing together folks who’d never darken the same door — from baby boomers to yahoos, academics to convicts — and making them want to stay all night and a little longer. He’s the Teflon Troubadour.Â From unpaid bar tabs and pistol down payments to high-dollar lawsuits and high-profile tax hassles, he has nimbly stepped around buckets of excrement without getting any on him in a manner unrivaled this side of Ronald Reagan.Â Think about it:Â In just ten years he seamlessly segued from IRS target to A-plus patriot, leading the likes of Tome Cruise and Julia Roberts in a stirring rendition of “America the Beautiful” on the nationally televised post-9/11 telethon. He’s an activist without being overly political. He championed small, independent farmers by starting Farm Aid, a no-brainer fit of inspired populism that pays back the culture he was part of growing up in Abbott. On almost the opposite end of the spectrum, he has had a thirty-year relationship with NORML (the National Organization for the Reform of Marijuana Laws), making a public service announcement here and there. And he’s even raised money to rebuild the fire-damaged Hill County courthouse in Hillsboro.Â yes, he lends his name to causes, bu the causes don’t define him:Â his Williness transcends all controversy. He’s a jack-of-all-trades. No one slides in and out of so many musical skins. He’s country as all-get-out, but he’s also a folkie for the ages, a great gospel artist (look no further than Family bible and Healing Hands of Time), a connoisseur of pop standards (Stardust is one of the best-selling albums of all time), and an organic-rocker who can take a jam on on a trip farther out than even . The Allman Brothers and the Grateful Dead may have preceded him in their two-drummer setup, but only Willie Nelson’s band has sported two bass players as well. Reggae? Been there (though the album has yet to be released). Sentimental schmultz? Done that (“On teh Sunny Side of the Street?) Dance times? Yes, thsoe were disco whistles you heard on a recent single, “Maria (Shut Up and Kiss Me).” He has sung credible duets with Julio Iglesias, Ray Charles, Paul Simon, Little Joe, Dolly Parton, Neil Young, Bob Dylan, Townes Van Zandt; B. B. King, Kid Rock, and Nora Jones. Now that’s versatility. He’s an extraordinary talent. 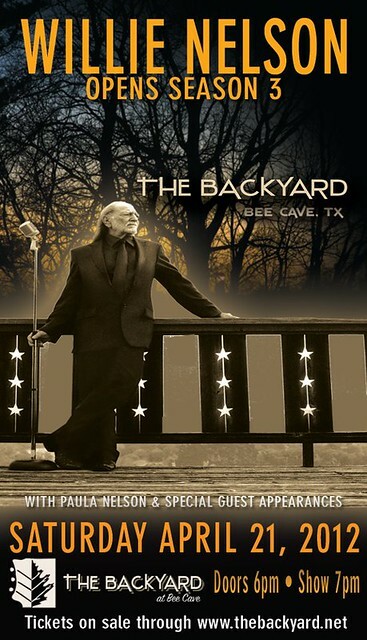 He can jump from genre to genre so effortlessly because he’s so gifted musically — the greatest all-around Texas player born in the twentieth century. He writes songs that have As a singer, he’s surpassed only by Sinatra. He’s an American original, right up there with Hank, Miles, and Elvis. He’s a crossover dream. unlike Mariah Carey and Madonna, he has managed to transition form music to movies (Honeysuckle Rose, Wag the Dog) and television (the edgy detective series Monk) without being ridiculed — mainly because he’s smart enough to play a version of himself, if not the real thing, and act naturally. What you see is what you get. He’s Ours. 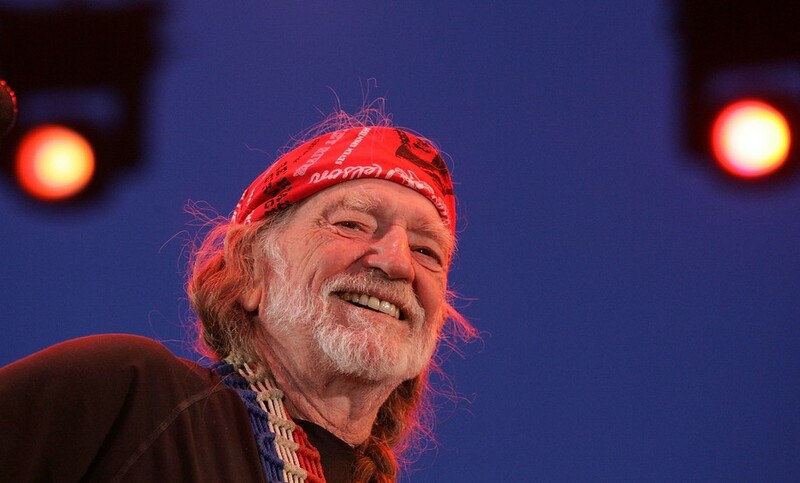 Willie is Texas and Texas is Willie, pure and simple, no one represents the brand like he does. The spiritual descendant of Bob Willis, who blazed trails by welding together seemingly incompatible styles to invent western swing. Willie is responsible for birthing this think called Texas Music and taking Texas to the world.Â Bonus points for making red-bandanna headbands, braids and running shoe symbols of Texas culture. He’s cool. He has lived a thousand lives and died a thousand deaths, having been wrongly written off more times than any other cat in showbiz. While he could be resting on laurels that include a discography ofmore than two hundred albums, he’s plahying 145 nights ayear, cranking out sets in excess of two hours, while on the side pitching booze (Old Whiskey River Kentucky Straight Bourbon), financial services (Frost Bank), and blue jeans (the Gap) in television commercials and on a billboard overlooking Broadway. Wilie and blue jeans? Could there be a more perect match? It isn’t so much that the was made for them as they were made for him.Â And you can’t get any cooler than that. 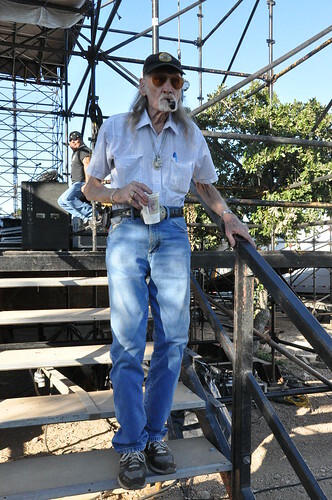 [Joe Nick Patoski is author “Willie Nelson: An Epic Life,” among many other great documentaries on Texas music and history. His latest is The Dallas Cowboys: The Outrageous History of the Biggest, Loudest, Most Hated, Best Loved Football Team in America”. 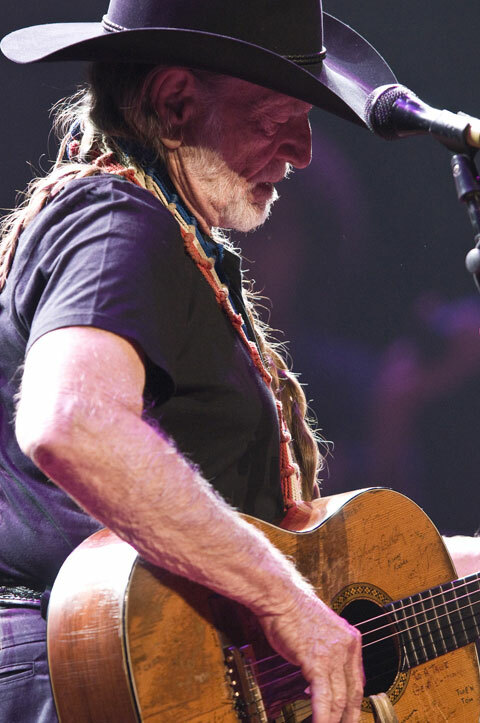 Even when his albums centered around pop standards, blues, jazz and reggae, Willie Nelson has always put his unique country spin on the music. With his new album, Country Music, he chose to delve deep into the kind of music he grew up hearing and playing. 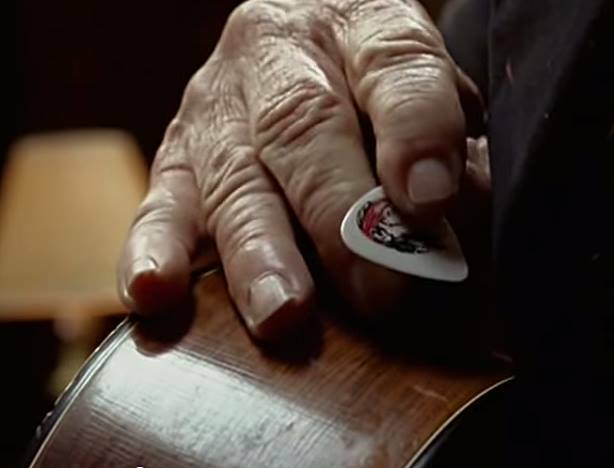 Produced by T Bone Burnett, Country Music was recorded in Nashville with a band of local musicians that included Jim Lauderdale, Buddy Miller and Ronnie McCoury. The song selection includes new arrangements of traditional material and covers of songs popularized by Porter Wagoner (“Satisfied Mind”), Hank Williams (“House of Gold”), Ernest Tubb (“Seaman’s Blues”), Merle Travis (“I Am a Pilgrim”) and Al Dexter (“Pistol Packin’ Mama”). Where did the idea for this album country music come from? What was the criteria for this album? Well, T Bone Burnett produced it, and if you’ve got a good producer like that, you kind of just let him have the ball and run with it. And that’s what I did. He brought all the songs to the session except for “Nobody’s Fault but Mine,” and all the musicians, he called them all together. He’s really the best at doing things like that. I’ve read that you said three takes are enough if you’ve got the right people in the studio. Did you feel like you had that there? Oh, yeah. And a lot of times, the first take is the best, so the second and third are just insurance. A lot of people are saying Country Music is similar to yourStardust album because these songs are standards. Do you agree with that? I do. It’s a Stardust in its own right. All of these songs are the same type of standard songs in the country music as theStardust album were in pop. So, yeah, there is definitely a connection. Is there a song on this album that means the most to you personally? They’re all really good songs that I grew up singing — “Satisfied Mind,” “Dark as a Dungeon.” You know, these days the mining songs are very special to me because of all the tragedies with all these mines. But all of these songs are very good songs. The traditional song, “Satan Your Kingdom Must Come Down,” was one you hadn’t even heard before. No, I hadn’t heard that. T Bone brought some good things to the session, but I had never heard that one. He brought a Bob Willssong I had never heard. I thought I’d heard all the Bob Wills songs, but “Gotta Walk Alone” is an obscure Bob Wills song that I had never heard. You included Hank Williams’ “House of Gold” on the album and have said it helped get you through some hard times. What is it about his songs that have the power to heal? Well, songs like “House of Gold” … it’s just pure Hank Williams. No one sings those like Hank did, but I sure love to try. Is there a type of music that you wouldn’t touch these days? Oh, I don’t know. There are probably lots of different things. … I’m just now aware yet. You had carpal tunnel surgery a few years back. How is your hand doing? The hand’s doing better. I’ve got a rotator cuff that’s torn, and it’s cutting down on my golf but … . There was a lot of speculation about your reasons for releasing the album on 4/20. Is this a coincidence? Well, you know, I wasn’t even aware of a 4/20 kind of the release date. I never put anything together — because I’m usually kind of slow on things like that — but I think it’s funny. A district attorney in North Carolina is planning to prosecute some of your band members for possession of moonshine and marijuana. That’s kind of got to be disappointing. Well, yeah it’s very disappointing. … To have a little moonshine, in North Carolina, I thought they put that in baby bottles. I didn’t know that was a problem. We’ve been hearing rumors that you’re going to do a movie with Johnny Knoxville. Is that happening? We’re certainly talking about one together. And that’d be great. I love Johnny. We’d have a lot of fun. Anything new to report about your constant touring? Not really. I’m having fun playing. We played … in Vegas for all the broadcast people, and we had the band from Nashville there. That’s happening a few more times. I think we’re doing it in L.A. and New York. I’m looking forward to it because these guys are very good. And T Bone will be doing some performances with you, right? He’s great musician, and any time he’s around, you feel a little better because you feel like he’s got your back. I’m glad to know he’s in the studio or on the stage or anything. Great news! 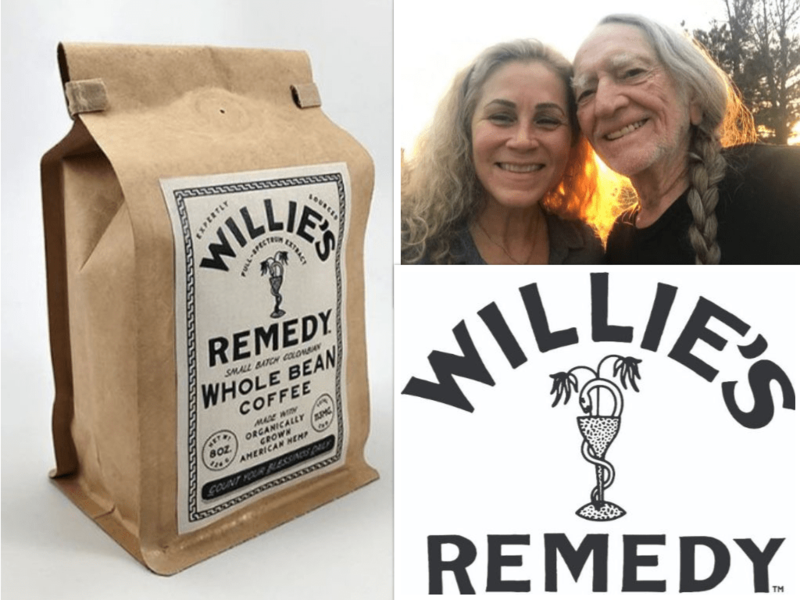 Willie’s Remedy set to expand distribution in U.S.
AUSTIN, Texas – The hemp wellness brand Willie’s Remedy inspired by musician Willie Nelson and wife Annie Nelson is coming soon to local markets in the U.S., with new products and expanded availability to retail accounts. 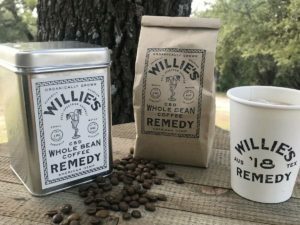 The brand’s flagship product, Willie’s Remedy Whole Bean Coffee, is a medium-dark blend sourced from various smallholder farms in Colombia and infused with certified organic, full-spectrum hemp oil. The blend comes in regular strength (each 8-ounce cup of coffee contains 7 mg of naturally occurring hemp-derived CBD) and extra strength (which yields 15 mg of hemp-derived CBD per 8-ounce cup). The new Willie’s Remedy Hemp Oil Tincture is made with Colorado-grown organic hemp flower that is concentrated into a full-spectrum extract, then infused into organic fractionated coconut oil (MCT oil). The tincture can be consumed on its own or with food or drink as part of a daily routine; it comes in two sizes and two formulations (10 mg CBD per serving and 25 mg per serving). The Willie’s Remedy wellness product line is non-intoxicating and infused with full-spectrum hemp oil extract. The plant compounds in full-spectrum hemp oil interact with the body’s endocannabinoid system (ECS). A growing body of research shows strong evidence that the ECS is responsible for maintaining equilibrium for a number of systems and functions, playing a role in sleep, regulating the body’s inflammatory response and more. All of the hemp used to create the Willie’s Remedy product line is organically grown by American farmers. The Nelsons made headlines in 2015 when they introduced the cannabis brand Willie’s Reserve, which taps a carefully selected network of state-licensed cultivators to provide the main ingredient for products sold in legal medical or adult-use cannabis markets. Willie’s Remedy products are for sale at williesremedy.com. 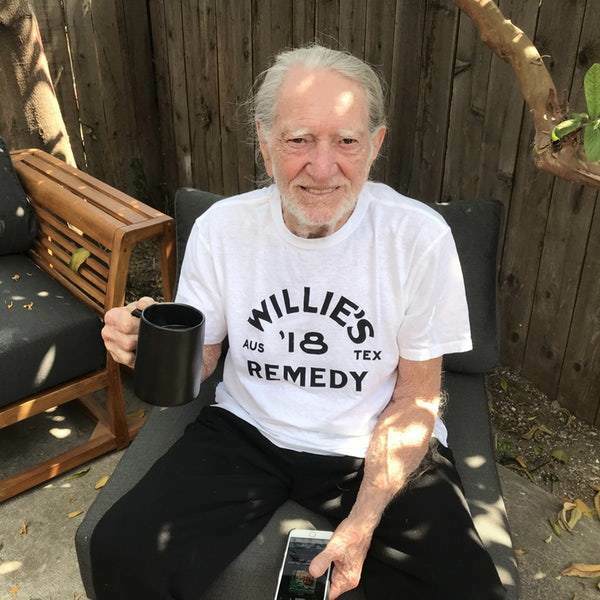 Willie’s Remedy a line of hemp-based wellness products inspired by pioneering musician and activist Willie Nelson and his wife, Annie Nelson. Willie’s Remedy hemp-infused products are non-intoxicating and feature full-spectrum hemp oil extract made from crops organically grown by American farmers. Launching in 2019, the brand’s first product is a hemp-infused coffee; other products in development include tinctures, confections, vaporizable hemp oils and topicals. Willie’s Remedy brings together the Nelson family’s commitment to supporting American farmers and environmental stewardship, while offering consumers simple ways to access the health benefits of hemp. Willie’s Remedy joins sister brand Willie’s Reserve, a separate line of licensed THC cannabis products. 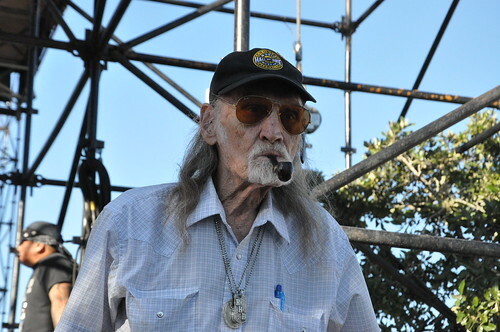 Willie’s Remedy and Willie’s Reserve brands are owned and operated by GCH Inc., a cannabis consumer products company founded with Willie Nelson to develop a portfolio of cannabis brands. For more information about GCH Inc. and future plans, please contact investorrelations@gchusa.com.